Focusing on yourself with no distractions and positive mindset is vital for achieving your goals and mental wellbeing. But in times of modern technology and constant connectivity it seems impossible. VISUAPP is the place where newest technology and ancient knowledge meet in order to help people to open their inner power and mind potential. 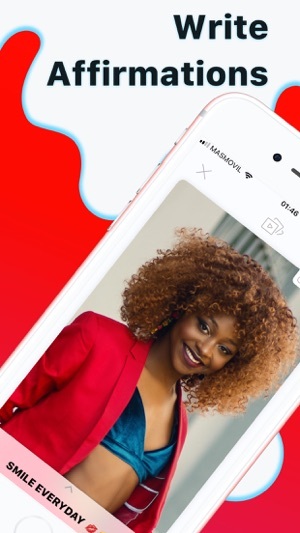 VISUAPP suggests a unique opportunity to change people’s daily live and start living the way they truly want. Think about things you want, places you want to go, people you want to be surrounded by. Now start adding your dreams to the board. You can add them from your phone or by taking a new photo. You can write positive affirmation for your dream and assign a category for each of them. 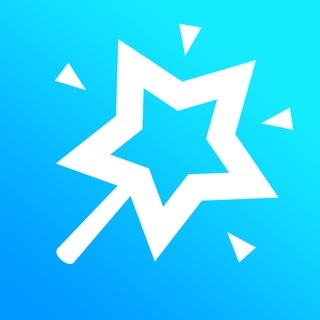 Swipe up or tap on the dream to observe the details or change it. Once visualization has started, you can see the counter of time that you have visualized for this dream. This helps to feel the progress and see the result. 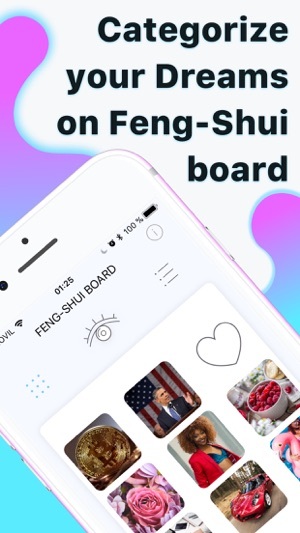 VISUAPP offers a special Feng-Shui board that helps users to achieve success in 9 most fundamental dimensions (categories) of our life: Wealth, Fame, Relationship, Family, Health, Creativity, Knowledge, Career and Travel. You can get this board as an inapp purchase. Conсentration on your goals for at least 3 minutes per day will help to enhance your self-awareness, improve your emotional intelligence and reduce stress and anxiety. 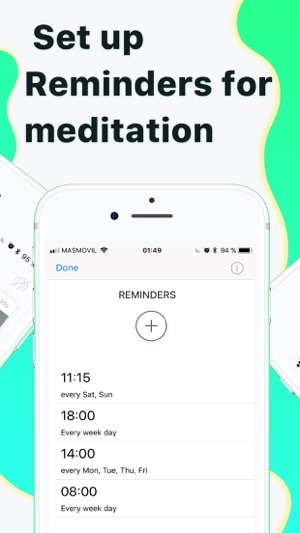 That’s why we highly recommend using reminders for meditations. Stay motivated with inspirational phrases and affirmations that you will receive on a regular basis. Start developing positive thinking habits with VISUAPP. VISUAPP offers several methods of visualization. Slideshow, Feng-Shui, One dream meditation or All dreams at once. Simply click on the eye icon and choose yours. As Beethoven said - music is the mediator between the spiritual and the sensual life. Make your meditations perfect with magical touch of music. 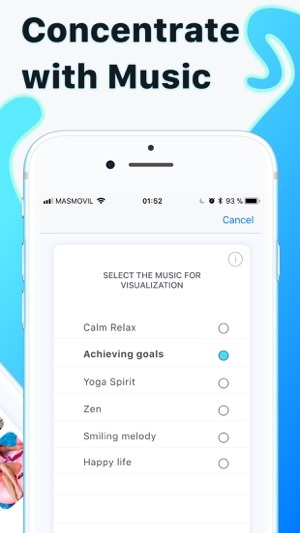 In settings choose the music you want from iTunes or pick the melody suggested by VISUAPP for a symbolic price. In settings you can unlock this functionality after buying an inapp purchase. This will allow you to backup all the dreams and affirmations right to the cloud (your iCloud Drive personal account). Then, when needed, you'll be able to restore all the dreams from cloud to your 'new' phone. This app is totally yours. The photos you add, stay on your phone. We only will ask your permission to your camera or photos so you will be able to add your dreams to the board. We may ask you access to your music in case if you want to change the music for visualization and permission for sending notifications if you want to receive the reminders. If you decided to change the phone you can restore your purchases in the settings. This app uses internet to download the predefined photos and communicate with Apple services to process inapp purchases. VISUAPP brings to the world radically positive impact through technology. NOW is the best time to visualize and turn your dreams into reality! Enjoy three NEW magical features! 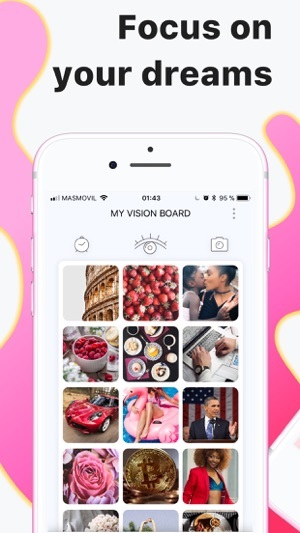 - Now you can GIVE THE NAME TO YOUR VISION BOARD!!! Be creative, use your imagination for it! ... also we've fixed several bugs so now your experience will be even more pleasant! This is exactly what I was looking for. Something to inspire and acquire. Something I can add music too while I meditate on the images, add notes to images etc. I’m hoping I can add more then 9 images though-and I’ll soon find out (I’m still working on my dream board as we speak). Why do have you to pay the slide and little sticker. Can’t go back an add to a group that already there.